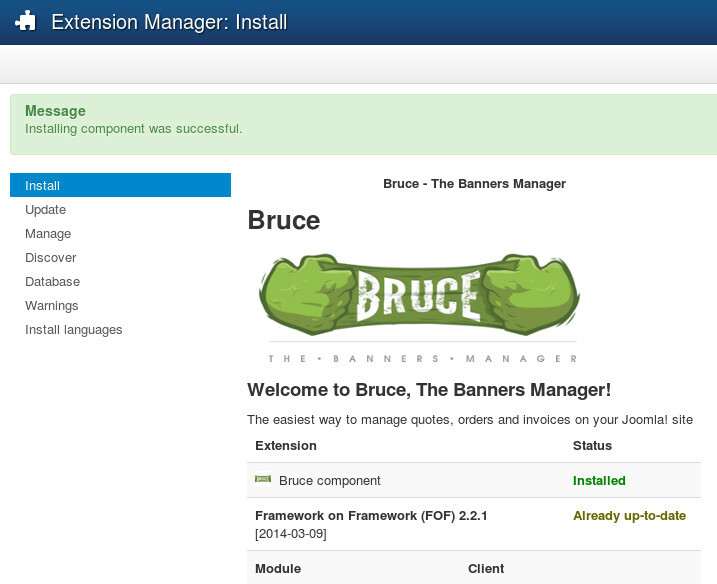 The Bruce component can be installed on Joomla 3.X. You can test Bruce on our demo website: demo.joomprod.com. To get it, you will have first to purchase Bruce Pack by clicking on the link Purchase" on the menu. You can use a coupon if you have it. Thanks for buying Bruce !